View from top of Dobongsan, north of Seoul. Sept 4, 2013. It’s all Ueli Steck’s fault. A couple months ago, I happened across some Ueli Steck videos that I had already seen a couple years ago. I think they resurfaced after he got attacked by a mob of sherpas while ice-climbing without ropes on Everest. For those of you who don’t know, Ueli Steck is a Swiss alpinist that sets speed records on extremely technical climbs, without any ropes. He literally runs up mountains. For some reason, when I saw the videos this time around, I decided that I also wanted to run up mountains. In one of the videos, he explains that his training relies heavily on heart rate monitors, which intrigued me. I’ve tried a few times in my life to “make myself” into a runner. I read Born To Run on a plane a few years ago and decided that I, too, could be a runner. Just like that. So I started running again, but just like every previous attempt, I gave up after not too long. How many other people have walked down that road (or more accurately, painfully run while holding their side with a stitch)? Motivated to start running, go at it for a little while, feel great, and then get derailed by an overuse injury, or boredom, or just life in general. That was me. This time, I wasn’t just motivated by the videos; I was pissed. I didn’t feel well. I had gotten sick a bunch of times over the winter and spring, and it frustrated the hell out of me. My sleep was messed up — I simply could not get out of bed until really late in the morning, and still didn’t have much energy. I felt massive “brain fog” — I wanted to do stuff and build stuff and create stuff, but my brain wasn’t letting me. Right around the time I rediscovered the Ueli Steck videos, I had to go to the doctor for something not serious, but since I hate going to the doctor with a passion, I decided that something needed to change — I was going to reboot my health. So, I started reading. A lot. At first, I thought the problem was my diet. Although I pretty much follow the standard Korean diet, which is one of the healthiest in the world, I thought maybe something was messed up there. For background, I’ve had digestive issues for like 10 years. The two doctors I saw about it were completely worthless — they only wanted to talk about symptoms, not causes (welcome to Western medicine). One wanted to put me on PPIs for life (I tried for a week or so, but it made me incredibly nauseous, so I stopped), and the other just wanted to stick stuff down my throat. Moving to Korea cleared up a lot of my digestive issues, but not all of them. The non-obvious problem with the digestive issues is that it very clearly affected my mental performance. When my stomach felt “good”, my mood was better, and I was way more productive. It was like night and day. I almost felt embarrassed to tell people this, especially in the West, but in Asia, this has been commonly accepted knowledge for thousands of years. The West is finally starting to see the connection, too. Anyway, I read a ton of health articles online. I became convinced I had a “systemic fungal infection”, but I ruled out this theory after a blood test and a very important grammar epiphany. Basically, all those articles about “candida”, etc., are written with god-awful grammar, littered with more spelling and grammar mistakes than an inebriated third grader. This is a good rule in general: the worse the grammar, the less serious you should take the content. After the candida detour, I came across perfecthealthdiet.com. I actually met the authors in Seoul, and they’re very nice people, but to be completely honest, they didn’t look nearly as healthy as the CrossFit dudes watching their presentation. But I decided to give it a try anyway. So, I plunked down some cash for a nice heart rate monitor/GPS watch and decided I was going to become a runner. The watch arrived, and I put it on and went out for an “easy run” just to get a baseline. Right after I started running, my pulse was up to 170, and it basically stayed between there and 180 for the entire time. And this was my easy run! What the hell was wrong with me? More reading led me to the “Maffetone Method” of Aerobic Base Training. The basic idea is that many people train way too hard when they run. They have very little aerobic capacity, and are constantly in the anaerobic glycogen-burning zone when they’re working out. That was exactly me. The prescribed solution? Take 180-age, and train below this heart rate for at least three months. The theory is that over time, your body will learn how to burn fat, capillary density will increase in order to carry more oxygen through your blood, your aerobic capacity will improve, and soon you’ll be running faster at the same heart rate. 1) Started aerobic base training. 2) Eliminated most wheat and added sugars from my diet (come on, everyone’s doing it these days! ), but not fanatically (the added sugars is especially hard to avoid in Korea — it’s in everything from 뚝배기불고기 to 닭볶음탕 to all the 조림-based 반찬, and most especially, it’s a big ingredient in 고추장). 3) Started 16/8 intermittent fasting (essentially, skip breakfast, and eat all meals between 12pm and 8pm). 4) Stopped binge drinking (I happen to live in a country full of raging alcoholics). 5) Started using f.lux to attempt to fight screen-based interruption of circadian rhythms. - Nearly all of my digestive issues cleared up. - My energy level skyrocketed. - My brain fog completely disappeared. - My mood improved about 1000%. I’m generally a pretty happy person, so this was quite amazing. I got so freaking happy people starting asking me what was wrong with me. - I lost a few kg “by accident”. My body fat percentage is around 12% at the moment. - But perhaps the craziest change was my sleep schedule. Ever since college, I’ve just been convinced that I’m a “night person”. But once I started this new program, my sleep schedule completely normalized. I started waking up in the morning full of energy! - And just to be fair to the link-baiting title, I discovered that my ability to recover from “spirited” bouts of drinking improved dramatically. Like, amazingly so. Trust me — I tested this on a number of occasions just to make sure. ;) My last big party with friends, we drank a fair amount and were out till 4 or so. I woke up naturally around 9 or 10 with a slight headache which cleared up by noon. I proceeded to work for a few hours and go out for a 5 mile run. Previously, I would have been in bed dying till evening. So yes, there is a hangover cure (or more accurately, prevention), but you can’t buy it in the convenience store. More importantly, something about the base training just felt “right” to my body. It felt as if my body had been craving this for years. Rather than being completely destroyed after an HIIT treadmill workout, I felt fantastic for the rest of the day or evening. I lay in bed dreaming about my next run. One morning, sitting in a cafe after a cup of coffee, I measured my resting pulse at 45 bpm! Needless to say, I started seeing improvements in my aerobic capacity at my training heart rate. An added bonus to the energy and sleep schedule changes has been that I get more sun and get to enjoy the outdoors more. It’s a virtuous cycle, and I can’t help but think that it’s not a coincidence. This is not to say that it’s been a perfectly steady road. For one thing, the base training can get frustrating — I still need to walk up most hills in order to stay under my target heart rate. I also had one week where I just felt totally burnt out during my workouts. I listened to my body, gave up, and rested until the following week. But in general, I feel like aerobic base training has given my body something it was craving on an evolutionary level. This ties in very well with the primal movement: getting back to the things that humans were evolutionarily designed to do. On the diet side, this includes eating the right things. On the health side, it includes doing the things that the human animal was designed for — this includes low-intensity aerobic exercise (think of long treks across the grassy savannah), and high-intensity short-burst movements (I do big complex lifts — squats, deads, etc — once a week, and hope to incorporate sprints into my workouts soon). And on the mental well-being side, it includes seeing nature. The other day, I woke up at sunrise for no particular reason. 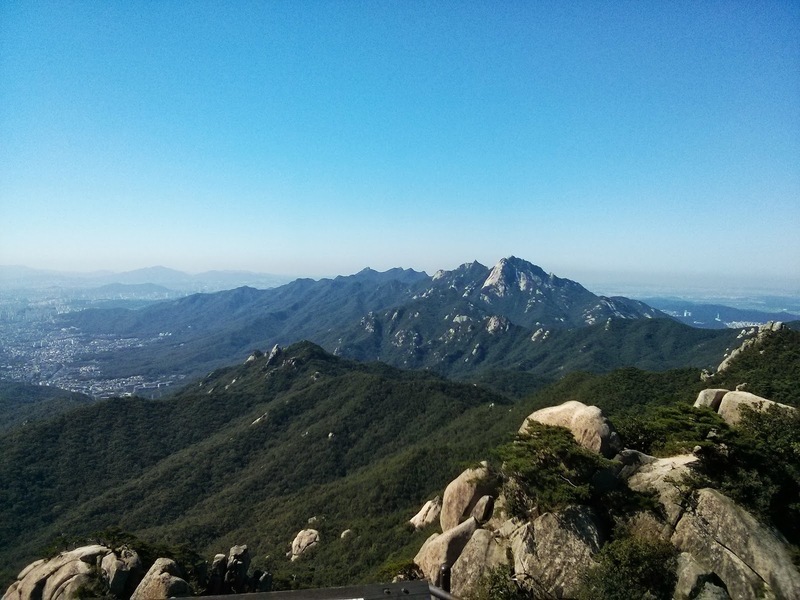 It was the first cool day of the year, and I decided to go out for a hike in a mountain range north of Seoul. I was on the trail by ten minutes to eight, hiked for about four hours, then proceeded to embark on the rest of my day. Oh, one thing I forgot to mention — I skipped breakfast. And wore my heart rate monitor, making sure to stay under my max aerobic heart rate. Yet I felt full of energy. I realized I had become fat-adapted. After the four hours of hiking, I jogged the 2km back to the subway station. Two days later, my quads and calves still sore from the hike (walking up and down mountains is a lot different than running on a treadmill), I decided to go out for a short run to loosen my legs up. I ended up going for about 10k. I realized I had finally become a runner. Maybe, just maybe, impaired cardiac function is implicated in a whole host of modern diseases and ailments. Maybe the answer isn’t as simple as “just go out and run”. Maybe one day we’ll all start to realize how connected these things are — diet, exercise, sun and nature exposure, mental health, mood, sleep cycles. Maybe we’ll stop looking for simple answers — “I don’t need to do cardio cause I do Tabatas”, “If it’s gluten-free, it must be healthy”, “Eating is just a way to cram a collection of nutrients down your throat”, “CrossFit is God’s gift to exercise”, “If I can run a marathon, I must be in great health” — and realize that these issues are actually incredibly complex and intertwined. But when we do find something simple, we might as well go with it. For me, it was aerobic base training. It required me questioning a basic assumption — I thought I was in good shape. I mean, I used to be a competitive gymnast! But after I directly quantified my poor aerobic conditioning and accepted it (170+ bpm for a slow run is not good shape), it turned into an extremely satisfying game watching it get better. There’s still an incredibly long way to go. Right now, I feel like I’ve upgraded my cardiac function from “really poor” to “somewhere near average”. I’m shooting for “superb”. One day, I still want to run across mountains. All while being able to sprint faster than you, and lift that 250kg fallen tree out of the trail. It’s possible. It’s the destiny of ancient man, carried out in the modern day. And I am finally on that path. Can you tell me how to do this aerobic exercise? how many minutes do you run on the running machine? what's 180-age? (180 minus my age?) the heart rate watch you got is the one Nike sells? Can you make a exercise program for me? I feel exactly same as you. I am always tired. and my digestive system is not so good. Your target heart rate is 180 minus your age. You want to warm up gradually (10-12 minutes), and then do your workout between your target heart rate and 10 beats per minute slower. I got the Garmin Forerunner 610 because I wanted a GPS watch. They have a new model now (620), but there are way cheaper options if all you want is a heart rate watch. Start with a small amount of running and adjust based on how you feel. Also, keep an eye on your resting heart rate, especially in the mornings. If your resting heart rate is higher than normal, you're working out too much and need to rest more. The worst thing you can do is overdo it too early, so err on the side of doing too little, and adjust based on your body. For what it's worth, I average between 2.5 and 3.5 hours of targeted cardio per week, which is really not a lot at all. Happy to help you with an exercise program! Let's chat in reality.